Instagram has grown to over 800 million users, adding over 100 million since April 2017. For businesses, Instagram marketing is not only a no-brainer, it’s incredibly valuable in terms of conversions, customer happiness, and brand awareness. In this post, we’re going to cover the gamut of Instagram marketing hacks. You’ll learn both paid and organic methods of generating new business, followers, and engagement. The first thing you need to do is make sure you’re using a business Instagram account. The business version will allow you to do more with your posts than a regular account. You’ll be able to create ads, sponsored posts, and add a call-to-action (CTA) to some of your posts! 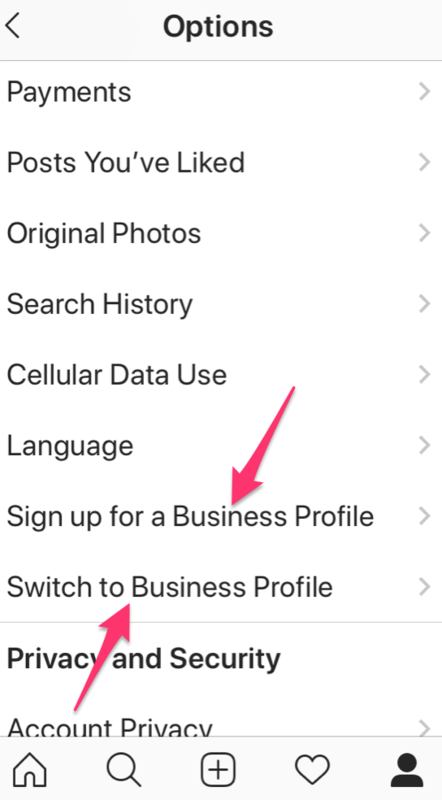 To switch your account to a business account, navigate to the settings within the app. From the home screen, navigate to your profile. From there, you can switch to a business profile or sign up for a business profile. Ads are a great way to generate names for an email list, encourage trial signups, drive traffic to a landing page, and convert prospects to customers. 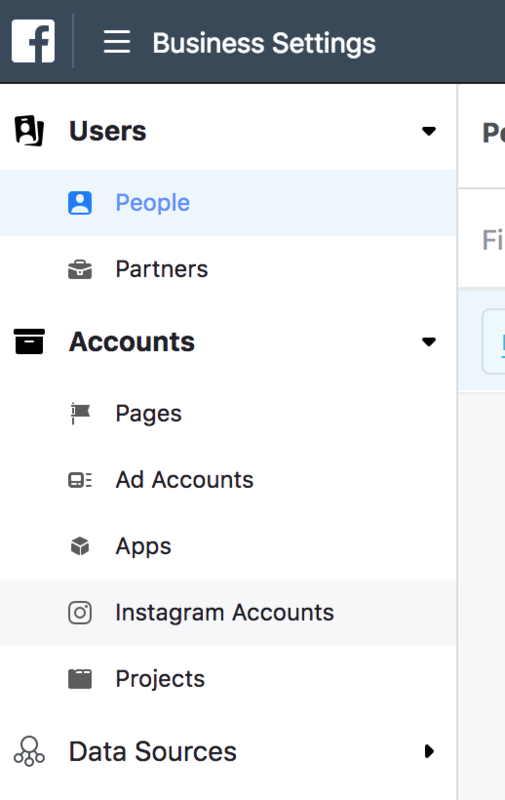 Because Facebook purchased Instagram back in 2012, you’re going to set up your Instagram Ads within the Facebook Ads Manager. First, you need to login to your Facebook account. 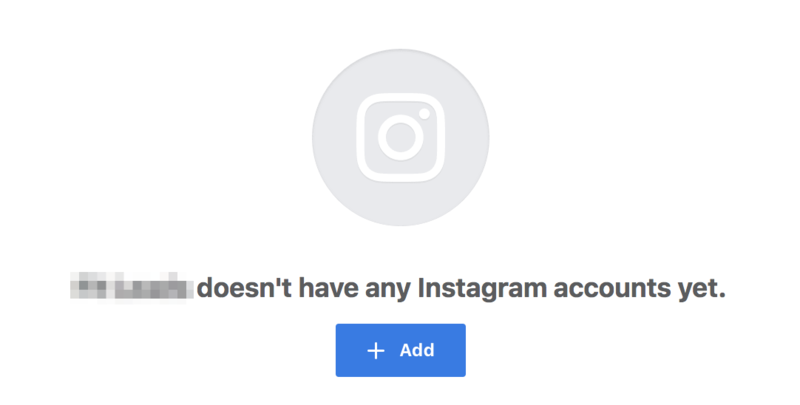 Log in to a business account if you have one if not, you can connect your business Instagram account to a personal Facebook page. 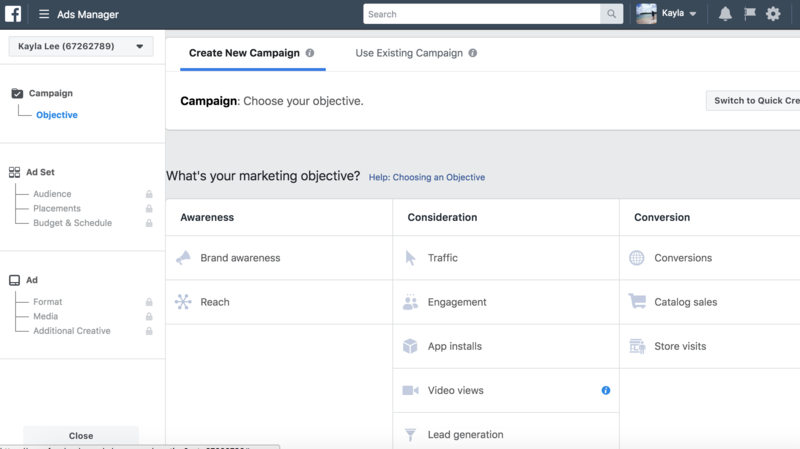 First, navigate to your Facebook Business Manager page. From there, click Business Settings. Next, select Instagram Accounts on the left side. Then, click Add Account and plug in your Instagram Account details. 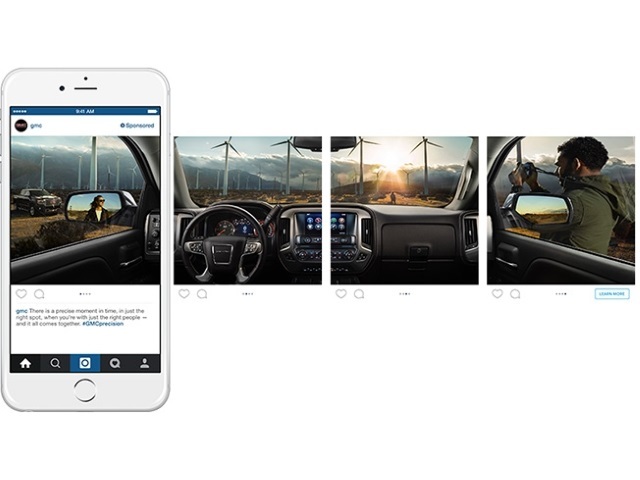 Now let’s get familiar with the different types of Instagram paid advertising. First up, photo ads. These allow you to showcase your brand or product(s) through a photo. It’ll look like a regular Instagram post, except it will say “sponsored,” at the top right corner. These will show up for a targeted audience that you select. Here’s an example, notice the “Sponsored” label at the top right. Best use: Photo ads are a great way to define your brand, showcase a product, or send viewers to a click-through link. Video is quickly gaining preference amongst internet users, particularly advertisers as 87% of online advertisers use video. Instagram video ads can be up to 60 seconds long, and are a great way to attract new customers and followers. 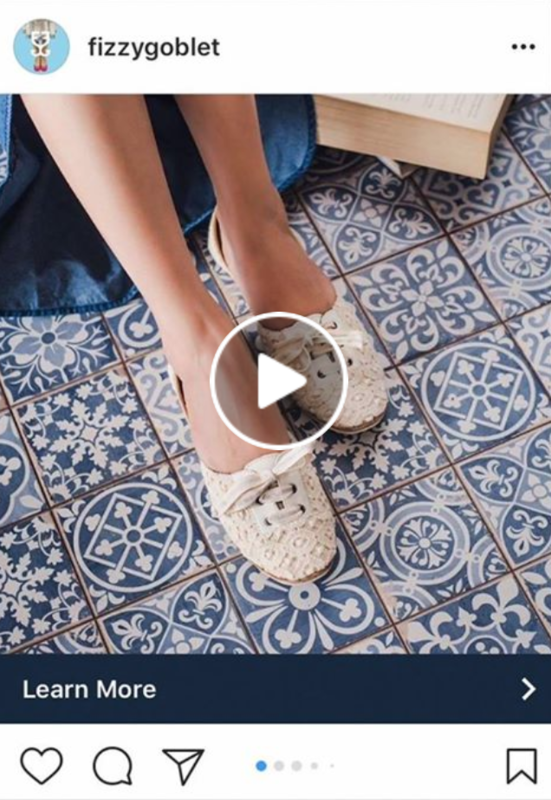 Video ads look exactly like photo ads, with the exception that it’s a video and the user can click a play button in the middle of the thumbnail image. Best use: Video is a great way to show users how to use your product. If you sell a service, then you could use videos to share how-to or educational bits of advice. With carousel ads, your users can see more than one photo or video by swiping through the content in a single post. Best use: Use carousel ads when you want to showcase more than one product or feature. You can even run several of your top-performing ads as one carousel ad. Stories are short video clips, similar to Snapchat videos, that can be taken and uploaded to your Story. 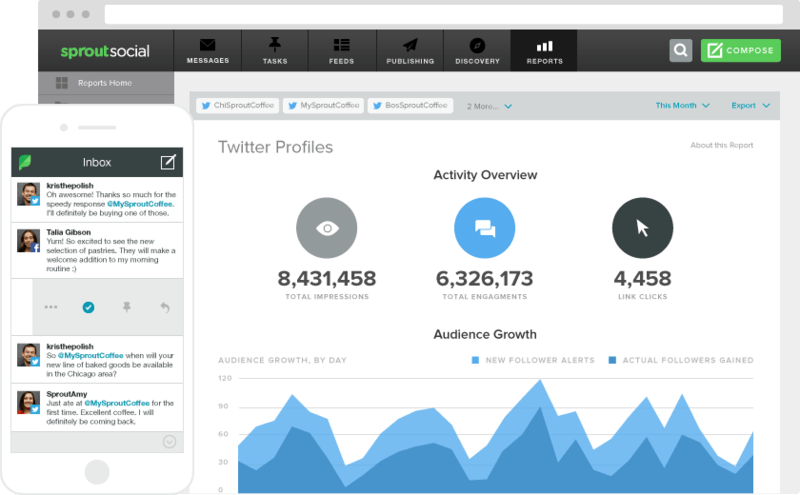 Your Story can be viewed by all of your followers, and it’s featured at the top of your followers’ browsers. Best use: Use stories to engage with your followers, post behind the scenes type videos, and more personal rather than super branded content that you post in photos. 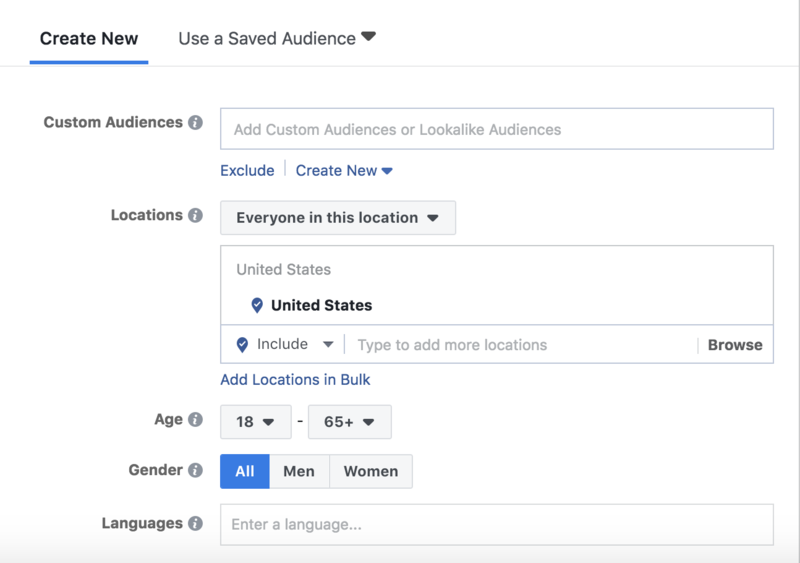 When you launch ads through the Facebook Ads manager (where you will also launch Instagram Ads), you need to select your target demographic. 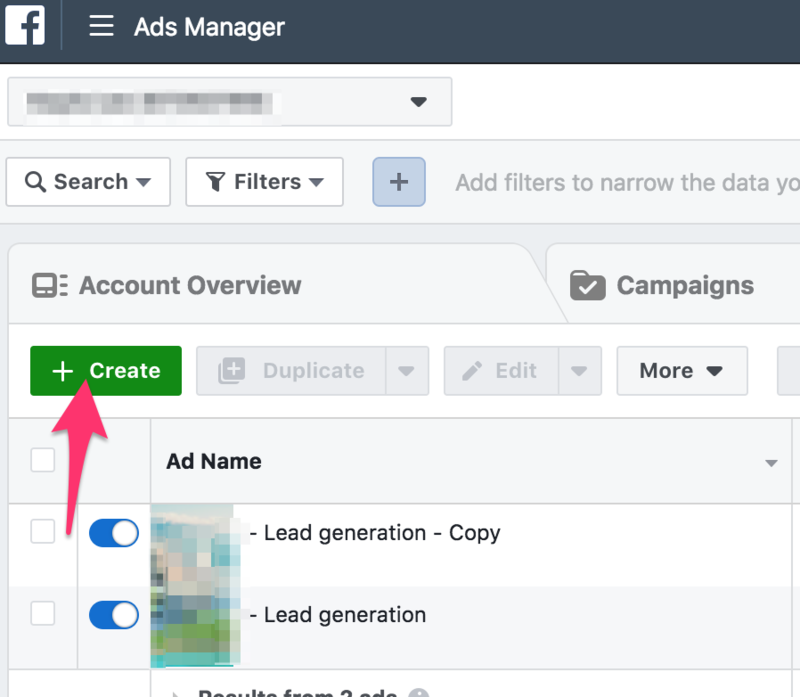 To start setting up an Instagram Ad, head over to the Facebook Ads Manager. Then, it’s time to choose the type of ad you want to use. Keep in mind that not all ad types will allow you to use stories ads or video ads. Once you select the type of ad, you’ll be directed to define an audience/demographic. We have a thorough guide for setting up a targeted audience if you want a deeper look into this. The ads above aren’t the only ads that might require you to spend a little money on Instagram promotion. Below are a few more ideas that can require a lot or a little money. Influencer advertising is a type of Instagram marketing where you are paying someone with influence (lots of followers) within your niche to post about your company or brand. 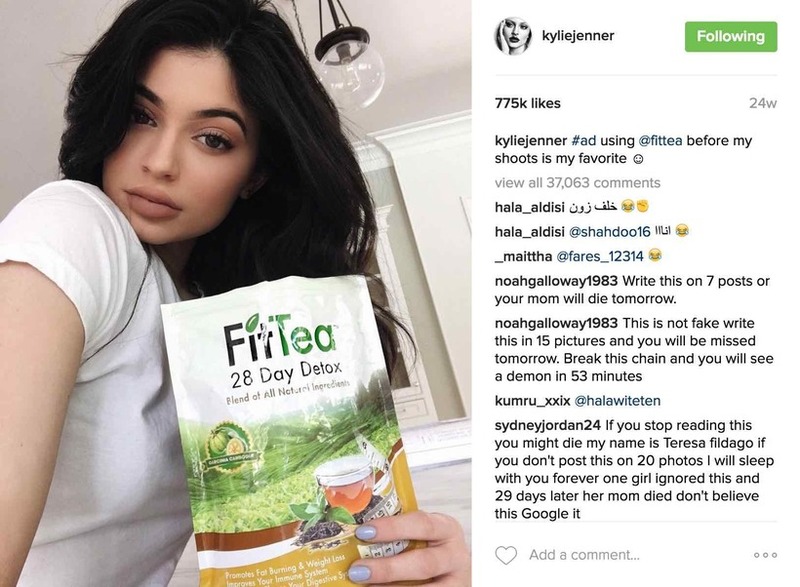 Take a look at this example of Kylie Jenner posting about Fit Tea. Influencers can charge fees ranging from $250 to thousands of dollars per post (Kylie makes approximately $1 million per post), depending on the size of their follower base. • Negotiate for a test post – instead of purchasing multiple posts, purchase just one to see how it goes. Contests are a great way to increase your follower base and build a loyal audience for your brand. Below are a couple types of contests that you could consider. These are probably the most common type of contest and they typically use a branded hashtag. For example, Coca-Cola has a branded hashtag #shareacoke. • Then, as users upload photos with your branded hashtag, simply search your hashtag on Instagram and select a winner. • Finally, you’ll want to celebrate that win with your follower base to encourage them to participate in future contests! Give the winner a shoutout with a regram (see below). • Use a web tool (like MailChimp or Instapage) to build a landing page for your contest. Make sure your landing page is branded to match the Instagram posts you’re creating. • Make sure you link the posts about the contest back to your landing page. • Then, make posts that encourage contestants to enter your sweepstakes. 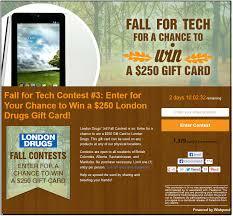 Sweepstakes and contests can be run organically for minimal cost. Or, you can plug these into an ad campaign and spend a bit more money for a larger, defined audience. 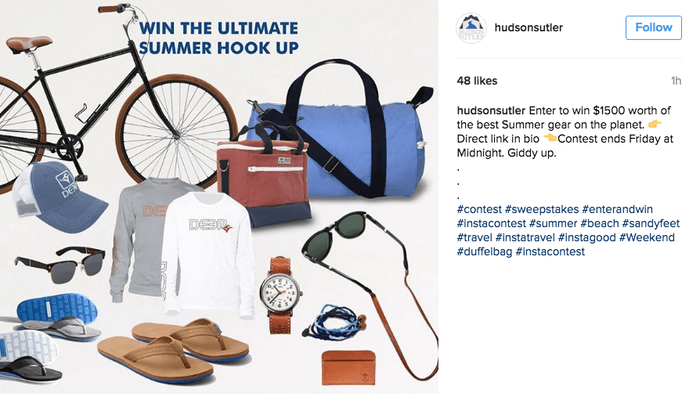 To plug your contests into a campaign, make sure you select the appropriate campaign type (lead generation or call-to-action) and follow the ad campaign instructions above. There are many ways to grow your brand organically without spending any money. 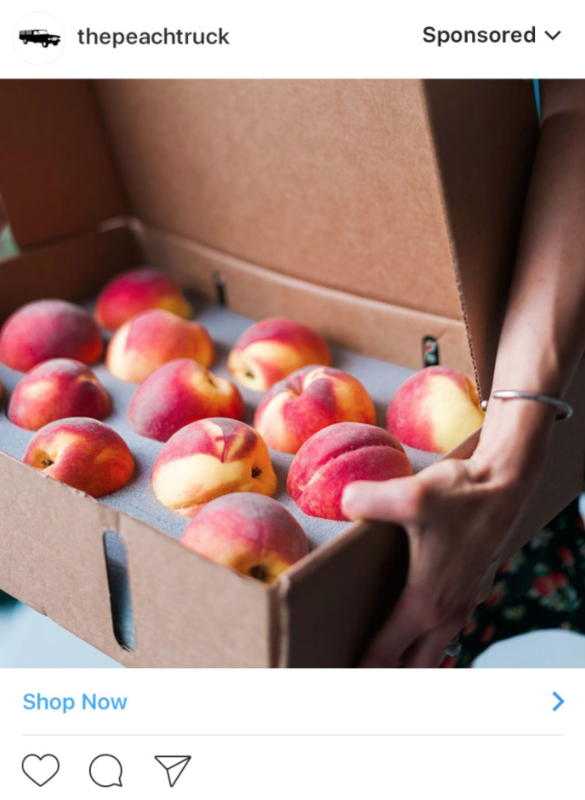 The only money you might spend on these organic tactics would be for hiring a professional photographer who can take branded photos, or hire a social media manager. One of the simplest and surest ways to grow your follower base is to engage with current and potential followers. Below are the ways you can engage your audience. Every once in a while, follow one of your users back. Go to their profiles, like their photos! When they comment on your photos, return the compliment or thank them for their comment. Also, visit their pages and comment on some of their content. One of the best ways to increase follower engagement is to share something they’ve posted. Regramming is the ultimate way to celebrate your fans, which increases brand loyalty! Maybe one of your followers Insta’d themselves with your product. That’s a perfect opportunity to share that same image with your followers. • Post the photo to your Instagram and use the hashtag #regram. Make sure you also tag the user by using the @ sign followed by their username. Stories are great for increasing your follower base and getting up close and personal with your users. 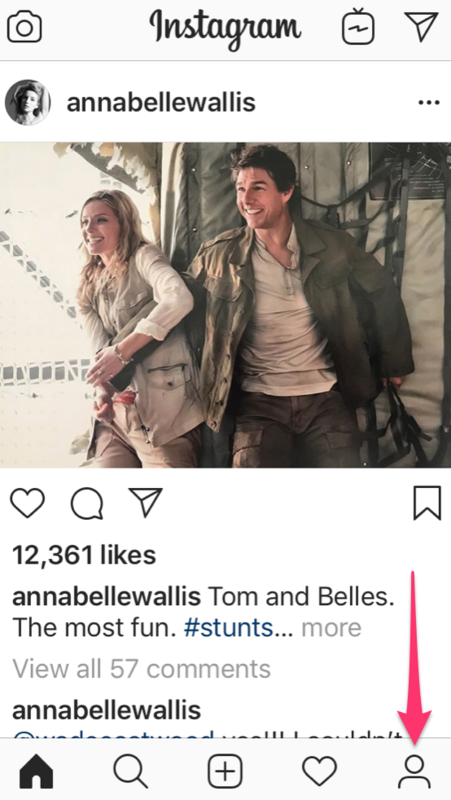 Stories also show up at the top of a user’s screen, so any content you post there is literally seen first. For Instagram Stories, you’ll want to share more personal stuff about your business. Maybe a “behind the scenes” look at your office or a happy hour. You want users to see you and your company as humans. 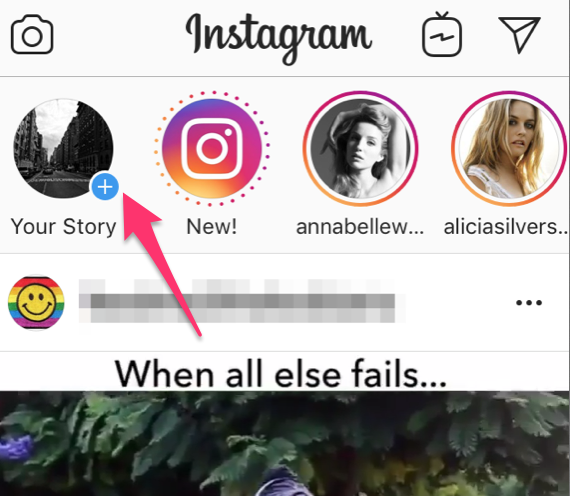 From the homepage of Instagram, click on “Your Story” in the top left corner (make sure both your microphone and camera/video can be accessed with Instagram). For a photo, press once. For a video, press and hold. The videos are taken in short clips, similar to Snapchat’s videos. Use the filter button to add view and swipe through your filter options. Use the switch lens buttons to toggle between selfie lens and the regular lens. Use the flash button to toggle the flash on and off. You’ll reach a much larger audience if you use a software to automate some of your posting, which is key to successful Instagram marketing. It’ll save you tons of time, and keep your audience growing regularly. 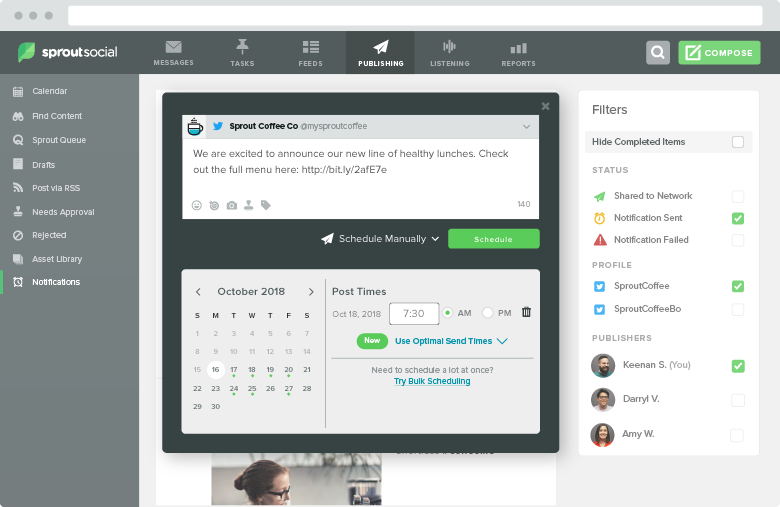 To automate your Instagram posts, head over to the Sprout Social free trial sign-up. If you’re not already a user, then you’ll want to sign up and plug in your Instagram account (and any other social accounts you have!). Make sure you select to register a business account. Next, upload your photos to Sprout by selecting Compose in the top right and then uploading an image. Then, edit them and touch them up if you need using the editing tool. Finally, it’s time to schedule your posts. Select which account you’d like to post the content to. 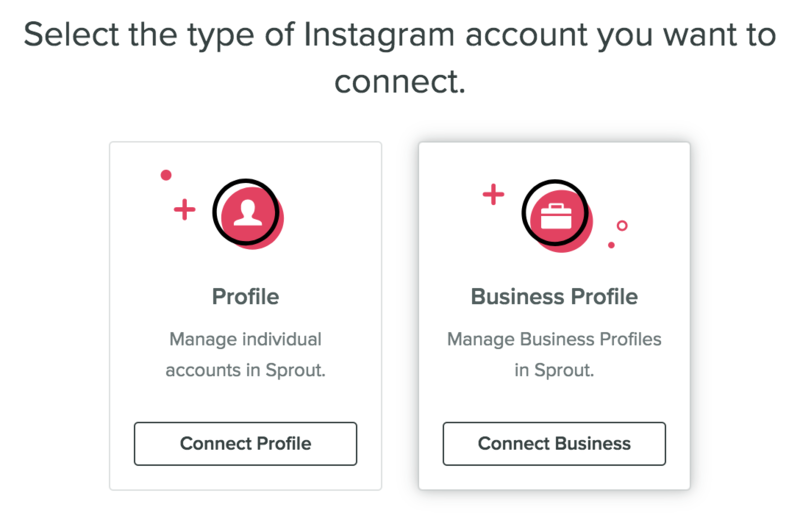 You can manage several Instagram accounts within Sprout. When it comes to posting, you’ve got several options. Let’s take a look at what each means. Draft: Use Draft if you’re not sure if you’re ready to post or if you save all of your content that will be automated before you make decisions about when it will all go out. Use Draft for content that’s not ready to go yet or that still needs approval. Queue: Use Queue to schedule your content ahead of time. 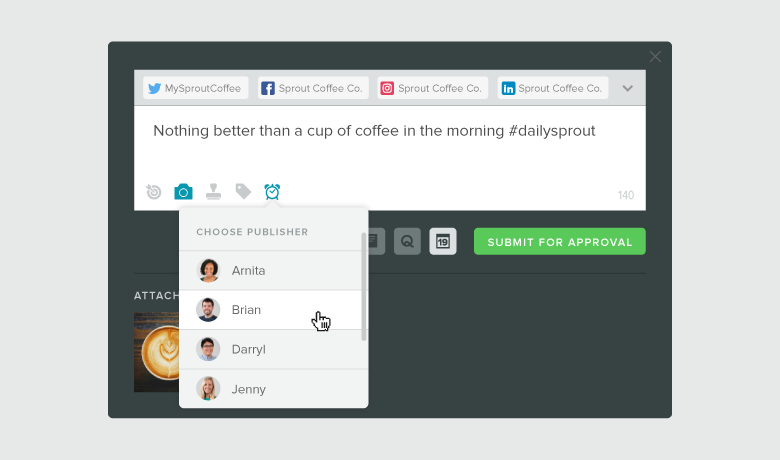 Once things are edited and approved, you can add them to your queue and they’ll be published at an optimized time determined by Sprout’s algorithms. Schedule: Scheduling means you select the time that your posts will publish beforehand. This is perfect for getting lots of content geared up for your campaigns (like contests and sweepstakes). Scheduling is also a great time-saver as you can build up a good bit of content that will automatically upload to your profiles. Submit for Approval: Choose this option if you need to have someone on your team proofread or approve of your posts before they are published. Send: Select send if you want to publish your post immediately to the selected profile. You can’t improve what you don’t measure. After you’ve sent several posts through Sprout, you’ll want to take advantage of all the analytic data that the platform collects. Let’s take a look at some of the key metrics you’ll want to understand so that you can optimize your Instagram marketing efforts. First, you can get a quick glimpse of which posts are working best. You can get a quick look at this right from your home dashboard. 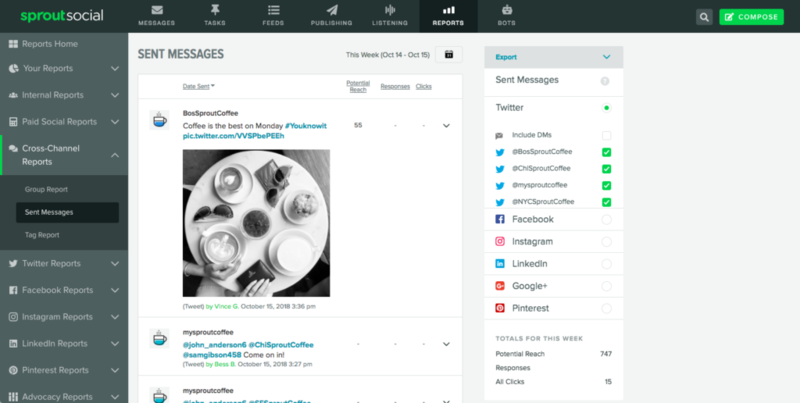 Use the Sent Messages Report (which you can easily export to CSV) to take a look at how your audience is engaging with you and get insight into which types of posts encourage that engagement. Measure your top influencers and how they interact with your content. You can use reports (like the Twitter Report below) to identify trending hashtags and influencers for your niche and brand. Your influencers have a significant amount of followers and are very active on Instagram. You want to pay special attention to these folks! Engage with your influencers often. 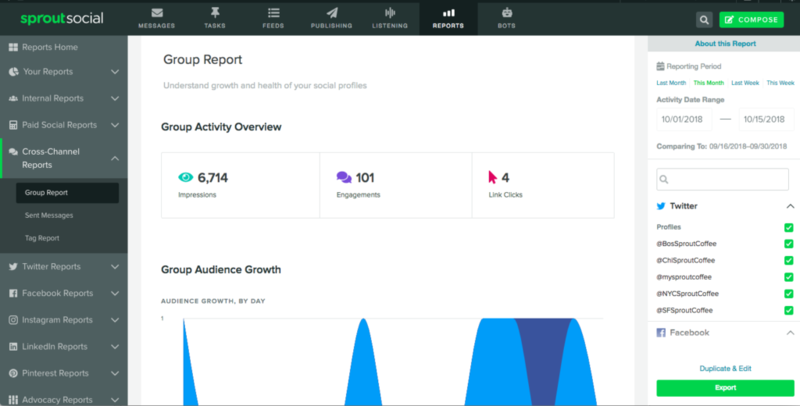 You can effectively use Sprout in tandem with your other Instagram analytics tools to get more detail. Instagram is a perfect platform for engaging with millennials and billions of other folks. 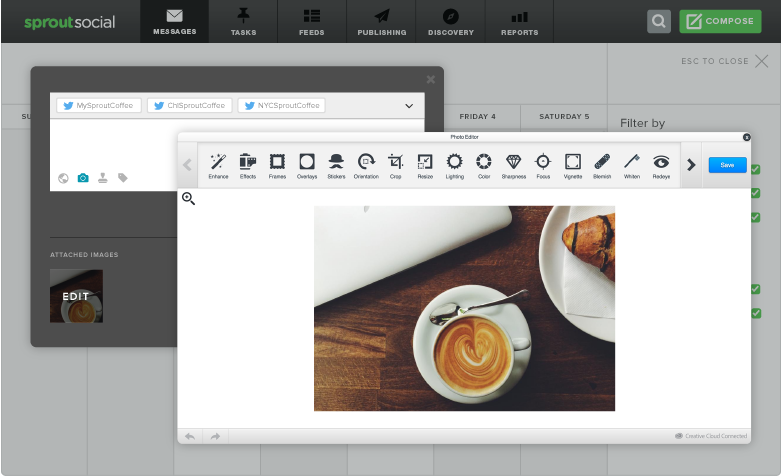 There’s no better platform for showing off products and your brand image. Make sure you’re using a mix of both organic and paid marketing tactics, and absolutely automate and analyze your efforts! 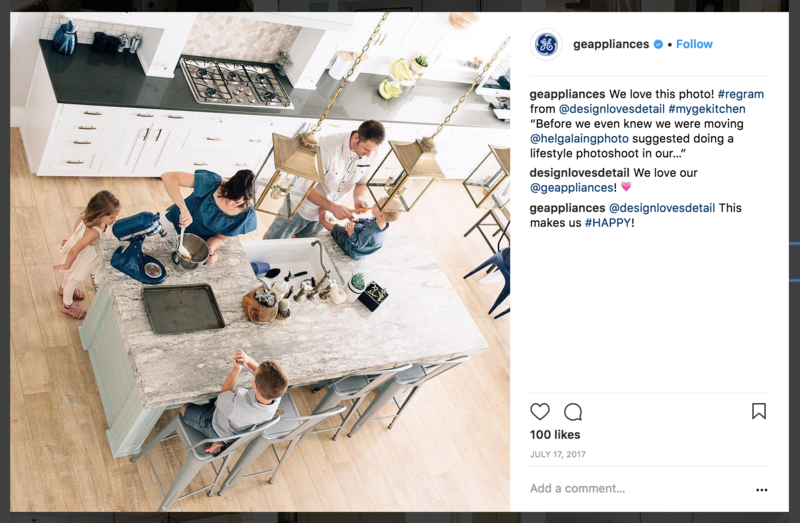 What are some of your favorite Instagram marketing hacks? Kayla Lee: Kayla writes books and content that grow businesses. She also teaches freelancers how to sell and market their services.